Step 2: Project Feasibility Call. Leading Los Angeles architectural designer of Qastic Lab is currently offering a limited number of feasibility calls for new residential or commercial developments. o If you project is feasible and any potential challenges you may encounter. Mahdi Alibakhshian, Assoc.AIA is a Los Angeles based Architectural Designer who demands innovation and customized experience from the beginning of design throughout construction. To provide the best service possible, Mr. Alibakhshian and his firm work with limited number of clients each year. As the founding principal of QASTIC and professor of architecture at the Woodbury University, Mahdi’s work has been recognized by variety of media including the future of architecture in 100 buildings, the architectural culture 389, and the Architecture newspaper, Dezeen, Designboom, Office 2 and Architectmagazine among others. Mahdi holds Masters’ in Advanced Architectural design from University of Pennsylvania and University of Tehran (M.Arch). Prior to teach at Woodbury University, Mahdi has considerable experience in the design and construction while working in the offices of NADAAA, Cesar Pelli, Koetterkim Associates and Fluid Motion Architects in Tehran. Referring to your project existing condition, please upload whatever document that can help assessing the project scope of work. Feel free to include plans, photos, video, entitlements, city comments and etc. This preliminary information help us to attain preliminary data prior to visit the site. 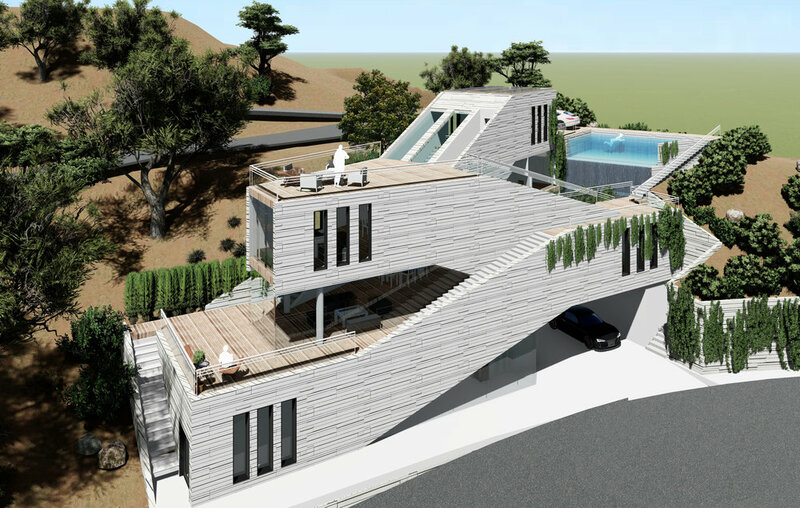 California hill side house is shaped by continuous and accessible roofs cape design which accommodates Jacuzzi, Fire place and Telescope pavilion on its roof. Incorporating the idea of a building within a building, Aparat headquarter merges two levels together as an efficient co-working spaces with cozy corners. Introduces the over lap between upper and a lower unit through a shared yard at the heart of two units. o If you project is feasible and any potential roadblock you should look out for. o The approximate budget you should plan to invest in you project (based on work on dozens of high-end LA area projects). o The top 3 blunders that sabotage custom home projects (and how to avoid them).